Why Your Business Must Go Social? posted in Career, Education	on August 24, 2016 by	The Techy Hub Comments Off on Why Your Business Must Go Social? If you’re ever wondering why your business needs to go social, here’s a few reasons. Do let us know what you think, and if you want to know more, get in contact with us here. We know you’re dying to expand your business’ social circle, but first, let’s make sure your websites are spotlight-ready. 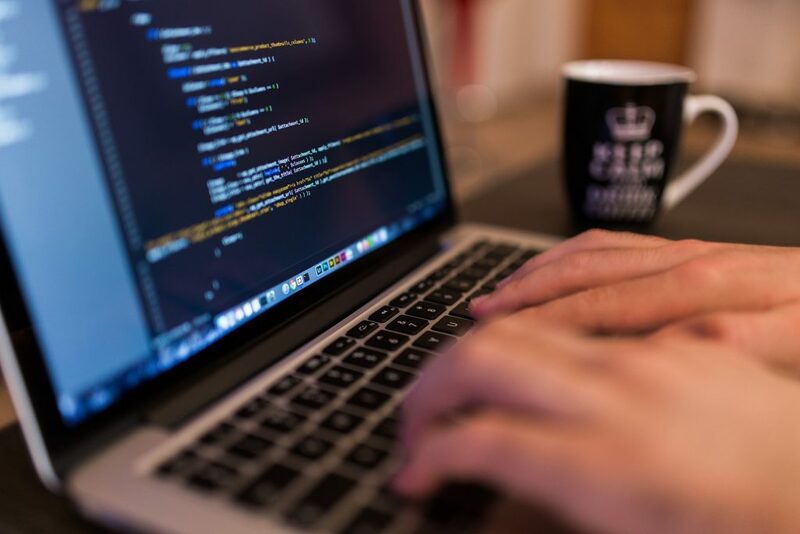 Enhance your project or website’s appearance by taking note of these neat tips! posted in Events, Featured	on August 19, 2016 by	The Techy Hub Comments Off on Say Cheese! 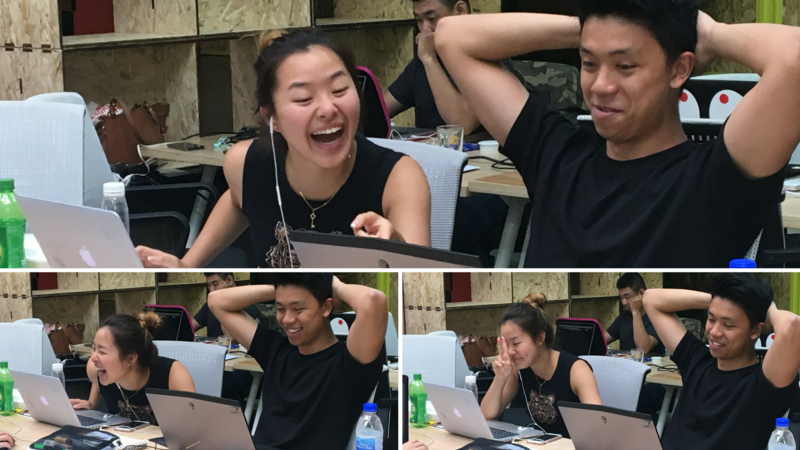 Hey guys, this blog post is just a quick update about our PHOTOBOOTH! Here’s a brief idea on what our Photobooth service is about and why we started it. For those who are wondering how The Techy Hub started photobooth service… Well, if you’ve been keeping up with our Instagram and Facebook page, you would undoubtedly have stumbled upon a spam of wedding pictures within the last two weeks! For those of you who have yet to figure it out, our boss, Sengjai recently got hitched to his longtime sweetheart, SuLin. Their wedding ceremony was a charmingly rustic do, set in an unconventionally beautiful space.. Complete with fairy lights and sweet little pots of honey as door gifts, the wedding had an almost dreamlike air to it. It felt like something straight out out of a romantic comedy, and our photobooth service not only managed to capture it all perfectly, but also provided guests with a customized souvenir they could remember the special day by! 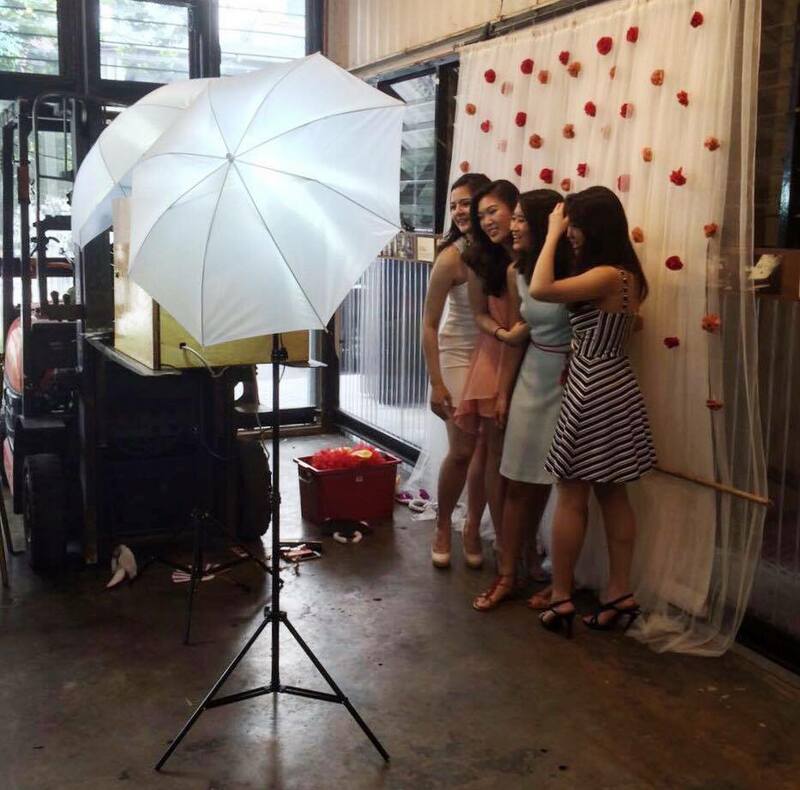 We started the photobooth service as an innovation for Sengjai’s wedding. He wanted something affordable for himself that was also in line with the current trends in Malaysia and for this reason the photobooth idea was birthed! A lot of meticulous planning went into creating The Techy Hub photobooth. We thought carefully about every little detail, from the exterior of the photobooth machine to the software used. Thus, our reliable and user-friendly machine came about! We are also planning to expand our photobooth service so that it includes a live Instagram Printer service! The live Instagram Printer is perfect for large scale events and serves as a personalized souvenir for your guests. Plus, it will be able to increase your event’s social media exposure due to the increased usage of your event’s personalized Instagram hashtag! Hopefully, we will be able to bring this to you sooner than expected. More updates about this to follow! We will definitely be doing big things with our photobooth service, and hopefully our live Instagram Printer too! Do check out this infographic for more information about our photobooth. If you have any further enquiries regarding our services, please feel free to drop us an email at info@thetechyhub.com! Experience with both is a plus! Are you up for the challenge? Apply now! I Am A Snapchat Addict! 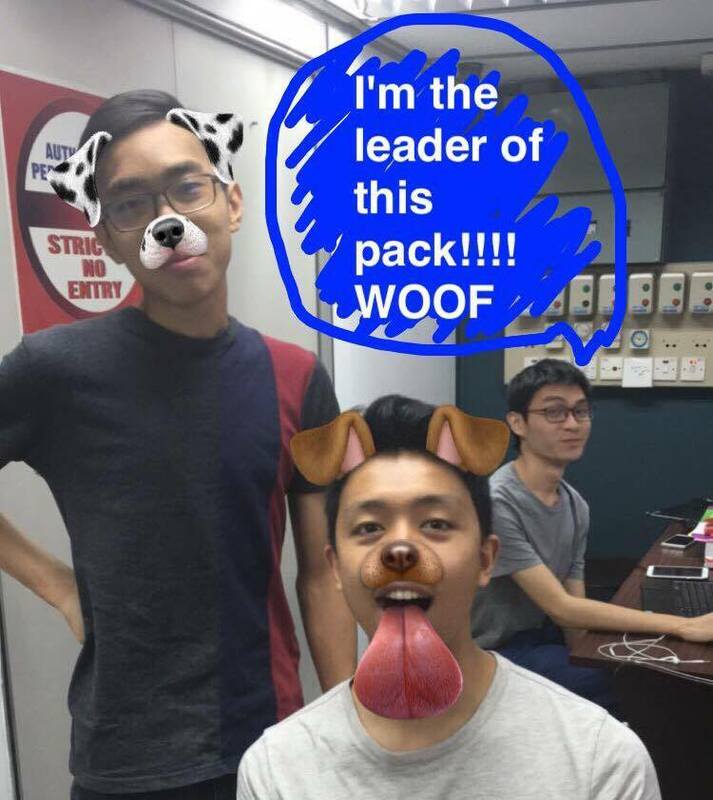 posted in Internship, Social Media	on August 10, 2016 by	The Techy Hub Comments Off on I Am A Snapchat Addict! Do any of these three scenarios ring a little bell in your head? If yes is your answer to that question because you’ve found yourself in a similar situation before, read on. If you were sharp enough to catch the Game of Thrones references, high-5, we would definitely be fast friends! Now, do your future pal a solid and read this blogpost please. BUT if your answer was no, then I urge you to continue reading anyways because this article was written specifically with you in mind. It is undeniably true that a lot of what we do are heavily influenced by the latest trends. Especially from the internet. 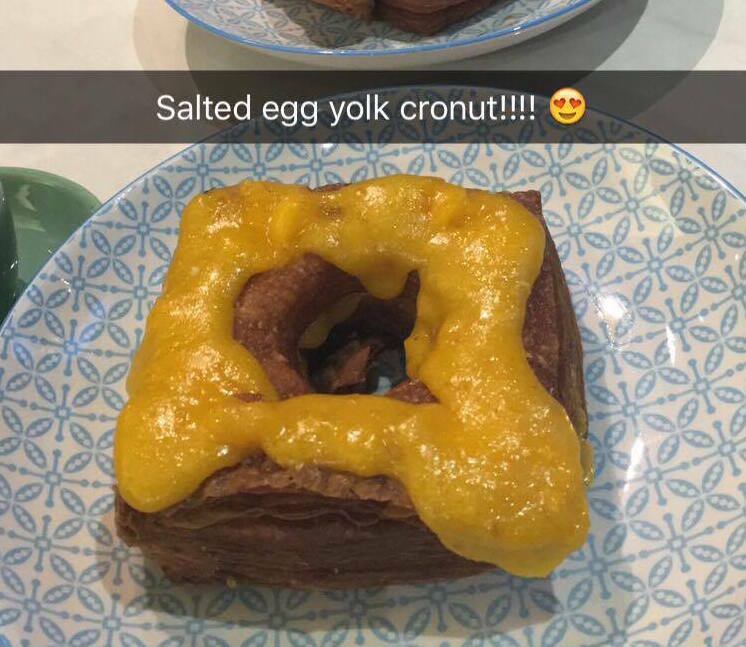 Be it whether you want a taste of the salted egg yolk cronut or to sign up for a couple of spinning classes! The social media is able to leave a profoundly powerful and lasting impact on its audience. In this era where everyone and everything is connected, we are able to obtain real-time updates on our loved ones. The world is made small as everyone is able to keep in touch with the latest happenings and constantly stay in the loop. Surprisingly, businesses rely on social media in a similar way we individual humans do; to maintain relationships, reach out to people, share and spread ideas, and to express a more fun, creative side to their oftentimes, serious façade..
Just like how we use Twitter or Facebook to upkeep relationships on a daily basis, businesses too can use social media in the same way. Social media presents us with a very unique and simple platform for companies to communicate with their audience. Communicating on social media strips away the formalities you would usually expect to find in a conversation between a company and its client and helps to promote a more casual, easygoing company-client relationship which at the end of the day, will undoubtedly strengthen the bond between both parties. An example of a company with a beautiful goal when it comes to their use of social media is Dove. With their motto of “helping all women realize their personal beauty potential.”, Dove is constantly creating content aimed at making women truly feel good about themselves. With the use of special hashtags such as #ChooseBeautiful and inspirational videos circulating the internet, it is no wonder their Facebook mentions increased by 71%! Besides that, a poll conducted showed that a staggering 71% of the women who participated in Dove’s Ad Makeoever campaign said they felt more beautiful. This just goes to show how powerful an impact social media can make on its audience. Think back to the times when advertisements actually meant manual labor: hardcopy printouts of posters and flyers, physically pinning them onto noticeboards or handing them out to passing pedestrians. Luckily for us, technology evolves very quickly and in the blink of an eye noticeboards have been replaced by sites like Facebook and Twitter. Sharing ideas and information have never been simpler! All it takes is literally just one click of the button for our content to be shared to hundreds and thousands of people. What’s even better is that now we are even able to track and analyse how well our posts do thanks to the abundance of social media analytics tools! We can not only control what time we decide to post an advertisement for maximum audience reach, but we can also decide the age group of the audience we want to share an infographic with! That’s just the tip of the iceberg on what social media can do for businesses. If you look closely, you’ll notice a common pattern between the companies that are prominent in this digital age – their bold use of social media. So, what are you waiting for?? It’s time to take advantage of these tools if you haven’t already! See you on Instagram! A month has come and raphicone in the blink of an eye. Today we’re saying goodbye to one of our interns, June. Here’s what she had to say about her time with us! I am admittedly a tech noob. Before this internship, the extent of my “computer skills” encompassed using Word Document, Safari, Google Chrome, and maybe just a little bit of Excel. ‘Photoshop’, ‘programming’ and ‘coding’ were three words missing from my vocabulary and if I consulted a fortune teller a month ago, and was told I would be able to code using a computer language one day, I would probably have laughed out loud and demanded all my money back. This summer, I decided to expose myself to something new and perhaps even try to pick up a different skill. I mean, summer is all about self-discovery and self-growth, right??? Although my time with The Techy Hub was short, it was indeed very sweet. During my time here, I managed to learn a range of things. From the workings of EDM (electronic direct mail ok, not Martin Garrix and Hardwell!) and how to use HTML. I also got to learn about wedding planning and even how to make kopitiam coffee! Having come from a health science background, a lot of tasks assigned to me, I had to learn from scratch! I honestly found it all very challenging and, at times I really struggled to grasp certain concepts. However, reflecting back I am truly glad I managed to learn so much in my short time here. This internship served as a platform for me to step outside my comfort zone and try something different. Consequently enabling me to realize some of my personal goals for the summer. After these couple of weeks working at The Techy Hub, I felt like I have obtained a better understanding behind the complexities of computer programming, found newfound respect for website and graphic designing, and especially, gained valuable insight on the workings of social media marketing and advertising! Working at The Techy Hub has been a very different experience for me. Mainly because of the easygoing company atmosphere and the extra friendly superiors who are always eager to help. We work as a close knit team with every member striving towards the same goal. My colleagues were ever so helpful and patient with me. For instance, my first week here when I unknowingly kept calling URLs, url as in hurl without the h… Thank goodness Michelle and Patricia very politely corrected me soon after, before I could further embarrass myself in front of everyone else! They also didn’t mind when I bombarded them with questions like “What are plugins?” and “What’s the difference between a jpeg and a png?”. Also, when I outwardly stared at their laptop screens in wonderment as they went about their tasks editing and designing graphics on Photoshop and adobe illustrator. They have definitely made my time here even sweeter!